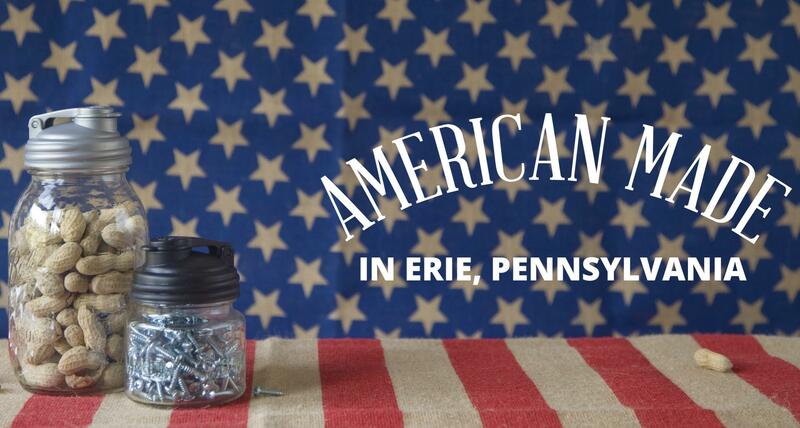 According to Erie-based Mason Jars Company reCAP's backstory, inventor Karen Rzepecki's mission in launching the venture a few years ago - to create a more perfect pour-cap for the ubiquitous glass jars - was simple mom-work, a product of practicality in motion. A few years later, simple's still working for the company, which has found success with a popular line of practical products that are not only proudly "Made in Erie, Pa.," but, in both form and function, are also highly friendly to their own, and everyone else's, home environments. Now, according to officials, reCAP is giving some of the fruits of its labors - one percent of all profits, to be exact - to conservation efforts in and around the company's home city through a newly-announced partnership with Environment Erie. That's reCAP's way of participating in 1% for the Planet (a Vermont-based, global profit-sharing network), and it's a perfect fit, according to officials from both the company and the organization. "There are a lot of opportunities to give, but this particular organization is near and dear to our heart," Rzepecki stated in a news release issued by Enviroment Erie today. "One of our core goals is to achieve zero waste, and together, we share in a passion to make the world a better place." "Creative partnerships, progressive programming and uncompromising integrity are important qualities for developing sustainability in our community," stated Amy Smith Zola, director of Environment Erie. "Working together is a natural fit because the synergies of each will greatly strengthen both entities. Mason Jars Company is pushing to implement sustainable practices and to work with entities that feel the same within their supply chain. 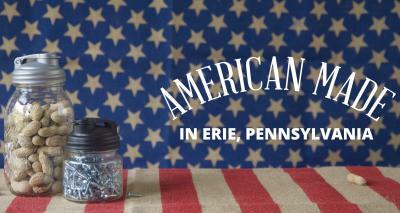 I can't imagine a more perfect partner to help create a more sustainable community" in and around Erie. To highlight the partnership, and share ideas on what the efforts are all about, Environment Erie and reCAP are hosting a kick-off celebration on March 8 starting at 2 p.m. at the Tom Ridge Environmental Center, 301 Peninsula Drive. For more information, call Environment Erie's office at 835-8069, or visit environmenterie.org.